NC Business Hall of Fame -- Charles Zeigler Sr.
Born in Bogata, NJ, Charles E. Zeigler Sr. would help build a small natural gas company into a major North Carolina utility along with his father and brother. Junior Achievement Charles' father -- Charles Branson Zeigler -- had worked for Ohio utility companies before moving to New York and working on Wall Street. After the stock market crash, C. B. looked for other options. He and partners bought a Statesville gas company in 1936. He then bought a bankrupt small utility company  the Gastonia and Suburban Gas Co. located in Gastonia in 1937. Relocating to North Carolina, C.B. renamed the company in 1938  Public Service Company of North Carolina. The company produced gas from an expensive manufacturing process. Charles E. would work in the company's meter repair shop during summers while in high school. In 1942, he enrolled in North Carolina State University. He left in 1943 to enlist in the U.S. Army Air Corps, serving as a navigator and bombardier during World War II. He also would serve 17 months in the Korean Conflict. Charles returned to the Public Service Company in March 1953, serving first as vice president for sales. In 1957, he was named executive vice president for most operations and marketing. Public Service Company grew dramatically during the 1950s and 1960s. The company had converted to natural gas distribution in 1951. 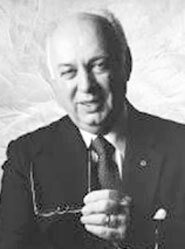 On September 25, 1973, Charles E. Zeigler was elected president and chief executive officer of the company. By then, PSC of North Carolina was serving 77 cities, towns and communities in 26 North Carolina counties with annual sales of more than $43 million. Charles later added the chairman title. In the meantime, he was extremely active in local community affairs, serving as chairman of the United Way campaign and generously supporting many groups. He married Virginia Huffstetler and they had three children. Public Service Company now is part of the SCANA companies.